Savvy cat guardians know that to stop cats from scratching furniture, one must provide correct stimulation and alternatives for scratching. Cats love well designed scratching posts, and the placement of such alternatives to furniture can make all the difference. I’ve done this, and my cats don’t bother my new furniture at all. Cats are also clever about finding alternatives to scratching posts. My female Jamie loves to sharpen her claws on this plastic non-skid base for the cat water bowls. Its little stubs are just stiff enough to provide the texture that she likes. What if we took that concept in the opposite direction? Can you pick furniture that cats won’t scratch? Specifically, I wondered whether furniture containing more hard surfaces would do this, or furniture whose fabric has no “nap” (or obvious texture). There’s also microfiber. My husband and I bought a microfiber couch, and the cats show no interest in it. I asked several furniture experts and got lots of ideas. Responses varied, and some contradicted each other. Regardless, you will probably get some ideas for what to try. What fabrics will keep cats from scratching? Photography © liveostockimages | iStock / Getty Images Plus. 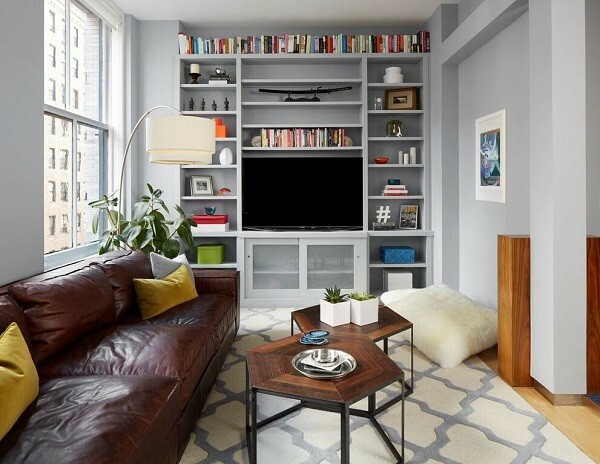 Sean Juneja, co-founder and CEO of Decor Aid, offers this tip: Look for fully upholstered pieces with wood or metal recessed legs. “The best fabrics are ultrasuede and leather, because a cat cannot claw into these,” Juneja said. Avoid fabrics that snag easily, such as tweeds. It’s also difficult to remove pet hair from these types of textured fabrics. Asked why full upholstery is important, Juneja said it keeps cats from clawing from any wood on the furniture. “While most prefer something they can shred, there are cats that prefer wood,” Juneja said, and recessed legs are not accessible because they are hidden and smaller. These leather and metal chairs along with a metal coffee table work well for the client who owns a cat. These chairs are covered with ultrasuede. And here is a leather couch and metal tables. Chandler Elmore of Kuni Furniture had similar advice on choosing furniture that “holds its wear well,” although he was less positive about leather. “The more a piece has of glass, metalwork and wood, it will wear better than leathers and suedes, which are typically decent materials,” Elmore said. 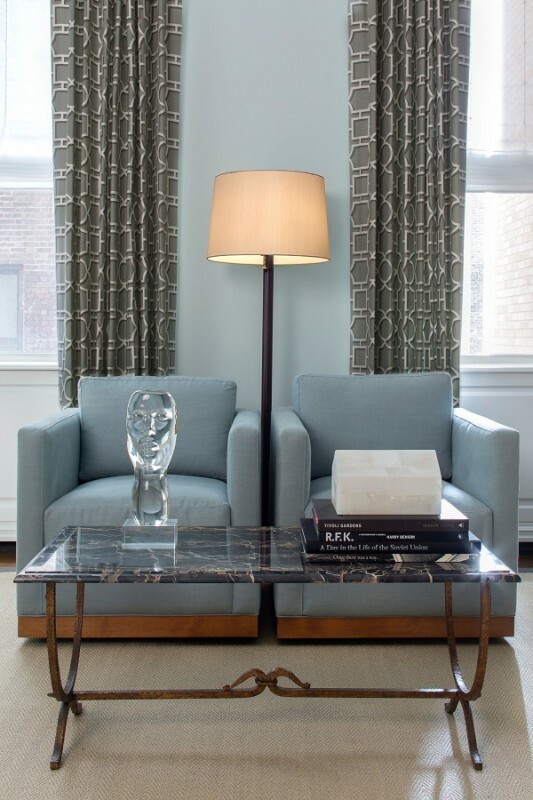 He pointed out that the “absolute worst materials for furniture” include chenille, velvet, wool, linen, silk and tweed. Cats in general don’t seem to like leather as much as other materials. “Leather is easy to clean and maintain, so it is always a safe bet.” Arbietman suggested applying scratch guard to the leather. Mike McCann of Wholesale Bar Stool Club says thin microfibers, which are often the least expensive items, are easily torn up by cats with claws. “Microfibers are meant to be easily cleaned of stains and spills, not endure punctures or last for extended periods of time,” McCann said. This contradicts the advice of Kuni Furniture’s Elmore above. Finally, Tamalpais NatureWorks recommends modular furniture made of wood and steel joinery. William Callahan calls it the world’s healthiest and easiest to maintain furniture for people and pets. “If a kitty (or a dog) destroys a table leg, just put a new one in its place,” Callahan said. None of this furniture is upholstered, making it easy to clean and repair. Not every piece of advice will work in every situation. These furniture professionals had many ideas, including two that contradicted one another. We know that cats vary too — some cats might claw leather, some might not. 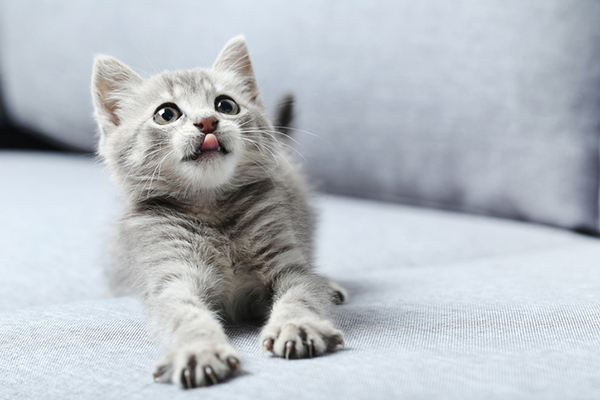 Tell us: Do you have any creative ideas or advice for choosing furniture that cats won’t scratch? 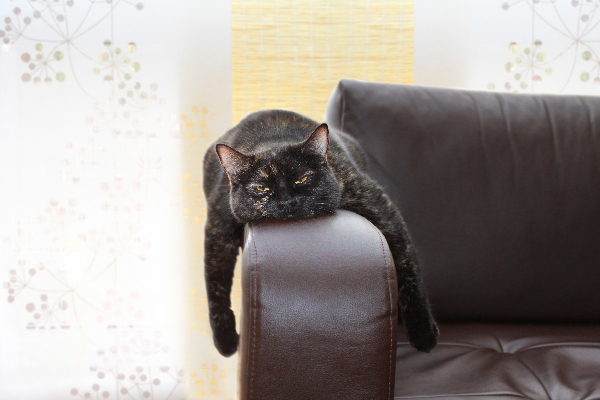 What furniture have your cats scratched and what furniture have they left alone? Thanks for pointing out that a piece of furniture with a chenille fabric will be durable since it will be able to withstand animals such as cats. I will keep that in mind now that I will buy my best friend a sofa as a gift for their wedding day this coming May. This will be perfect since they have one cat and a dog as well. My cats destroyed my expensive new leather chair. They never bothered the velour furniture. My new microfibre chair is getting scratched by my two Turkish Angora cats. I have six different tall well made posts throughout the house but they prefer the cheap corrugated cardboard scratch toys. Posts cost over $300 each versus $10 cardboard. Go figure. We have a soft leather lounge and our cats have scratched it. At first on the arms, then the top.We would stop them of course, but they discovered the back where they could stretch up and not be seen. Maybe the stiffer leather lounges with the studs around them might not interest them. We also had an open weave material lounge and that was attacked also. I do think that tall scratching posts are the answer or lounge covers. I have three cats. Two of them scratched my leather sofa and one did not. It is a good idea to get various types of scratching posts that the cat can fully stretch out it’s body on. There is one I purchased at chewy that is about three and a half feet tall with rope wrapped around it from the base to the top. The top is covered in a nice soft fabric. All three cats love love love this post! I have had it for four years. Very effective in keeping them off the furniture. I have narrowed it down to only one cat scratching the leather but he only does it now when he’s trying to get attention and I can catch him pretty quickly.